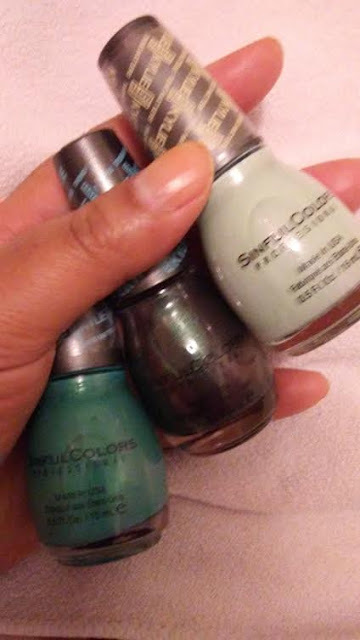 I have used several nail polishes from Sinful Colors Kylie Jenner Collection to do another inspired nail design based on the character, Rita Repulsa, played by the talented Elizabeth Banks in the upcoming reboot of Power Rangers movie coming in March!! 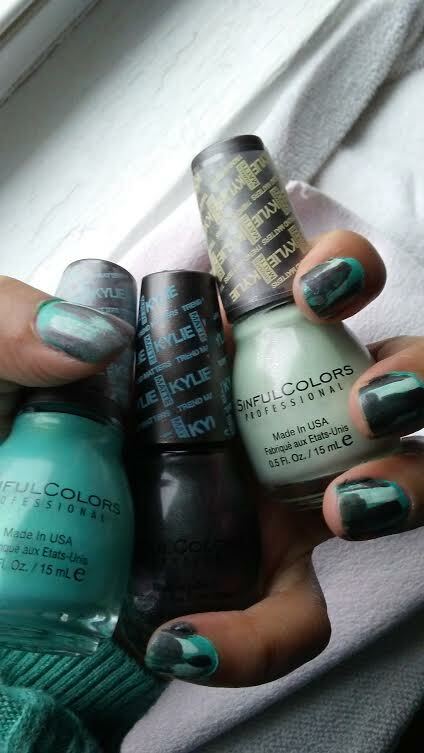 I used three polish shaded to represent her transitions based on the latest movie trailer which is "Kold Kash" which is the green base color for my nails, "Kool as a Kukumber" is light green shade due to Rita bring up the reboot Putty Patrol minions from the ground and "Konstellation" is dark/black shade for her dark nature for destroying the world after being locked for a million years! I did this design for both my DIY manicure and pedicure! !